Not that its been AGES since updating anything on here - I've finally got something to write about! 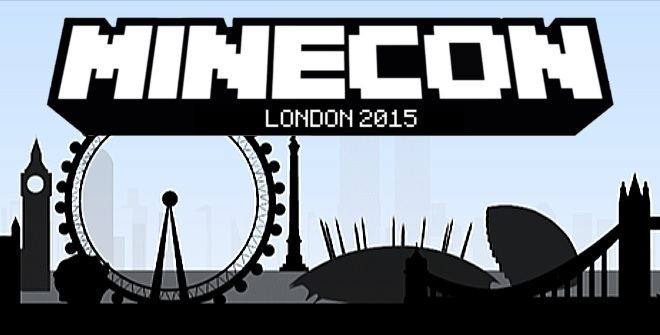 Spent last weekend (4th - 5th July 2015) down at the Excel Exhibition Centre down in London at MineCon 2015. What a weekend! As well as the Expo hall with tournaments, merch etc there were panels on various different aspects of Minecraft and YouTubers from all over the place. Ok - admittedly the primary attendance was from the under 15's with parents dragged along for support - but there were also teachers, learning how Minecraft gets used for teaching, the 'Block by Block' program used by people to rebuild and have a say in how where they live gets developed as well as indi developers and various panels. Microsoft were also there showing the console versions and upcoming Windows 10 version . We (as in the collective we) also made it into the Guinness Book of Records for most attendees to a single game convention! Go Mojang! Well - if anyone from Mojang get to read this - well done guys! The Mineraft community as a whole is huge - hats off to you!